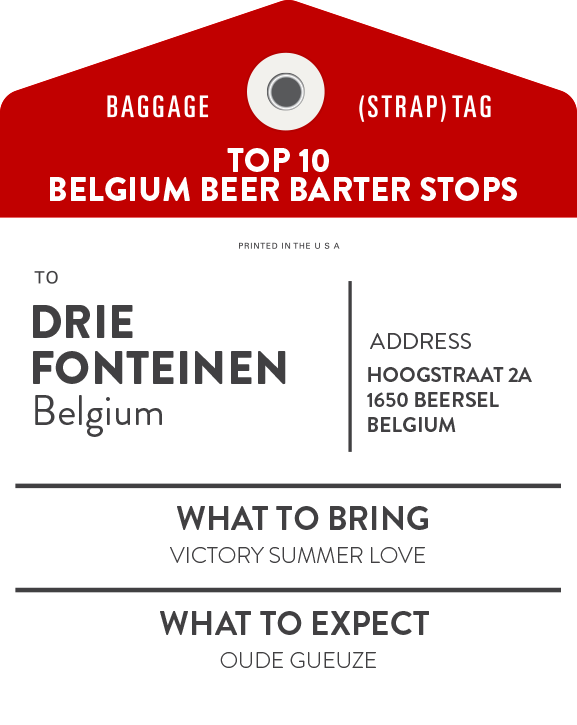 Make Belgian friends that will last a lifetime, and who will beg you to send them all of your local craft beers! If your download did not start automatically, click here to start the download now. Interested in other Porterra Travel trips? Be sure to check out our other upcoming trips! 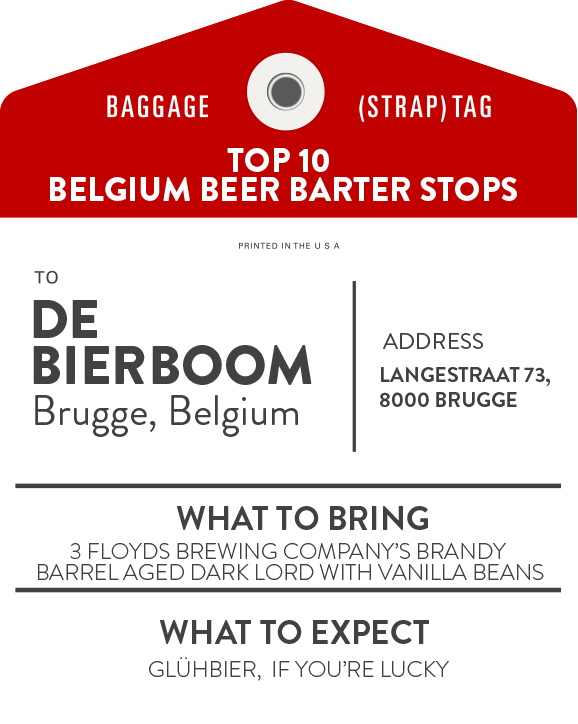 Barter Your Way to the Best Belgian Brews. 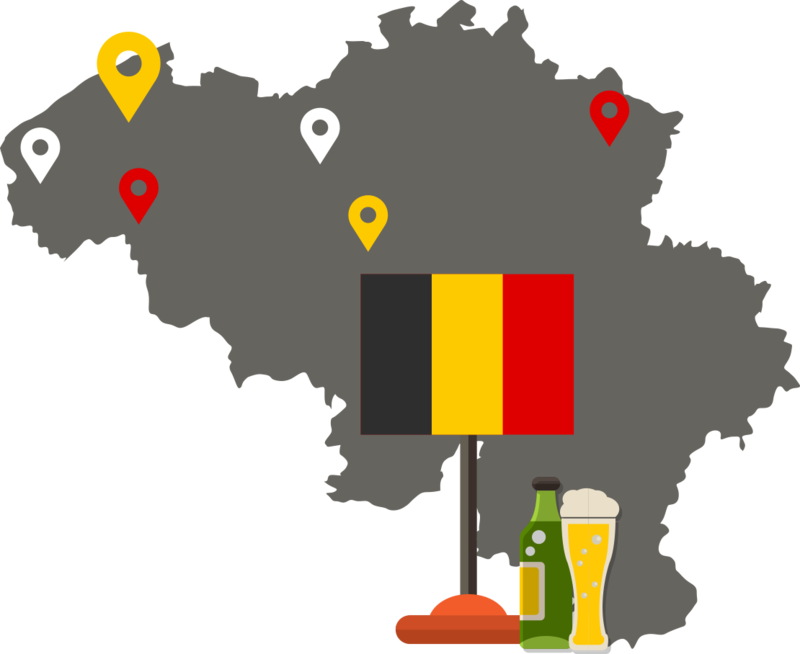 For most beer lovers around the globe Belgium is a Mecca for beer. And as a devout beer enthusiast, one must make a pilgrimage at least once in your lifetime to visit the source of all things beer. From the selection of the finest ingredients right down to the pour in proper glassware, Belgians stick to their traditions. In fact, they are so proud of their beers, they import very little. 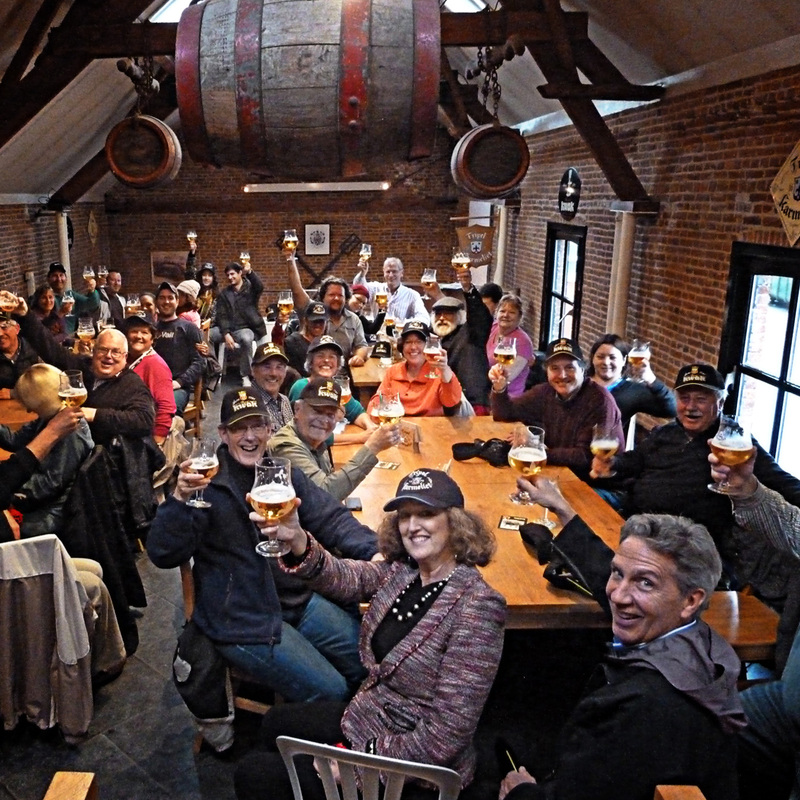 Even so, they love American brews and The Ultimate Beer Tour shows you how to barter American brews for the chance to experience the proud Belgian brewing heritage and maybe get a peek behind the curtain. Beer aficionados in Belgium are VERY interested in what we’ve got brewing here in the States. Because of our country’s size, we have thousands of small craft breweries experimenting and blurring the lines between traditional styles and using ingredients in new ways to come up some truly amazing world class beers. Most of these small breweries don’t export, which makes many top-rated, award-winning beers near impossible to find in the EU. Even if they did export, by the time a beer has made its way across the Atlantic, the hops have faded and the taste just isn’t the same. Bring beer from places that aren’t exporting. If they’re also hard to find in other regions of the United States, that’s even better. 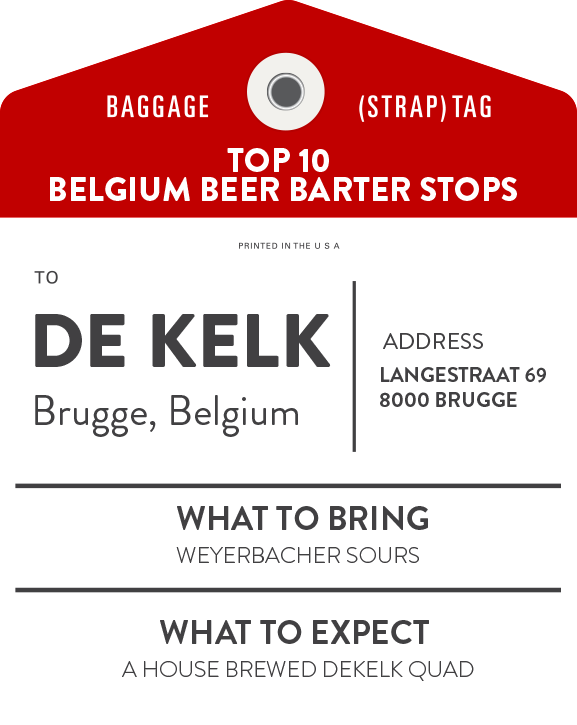 As our friend, Kurt Epps, from the Pubscout says, “If you want to secure good beer, you have to provide good beer.” Pack something that your new Belgian friend can proudly brag about at his next local beer club meeting. You’ve got a bag full of beer, and you’ve landed in Belgium. How do you know who’s ready to barter? Talk to brewers, shop owners, bartenders and bar patrons. Just about anyone you run into at an establishment, Brewers, Shop Owners, Bartenders, and even other bar patrons, will be ready to sample what you’ve brought. In return, they’ll likely take you off the beaten path and introduce you to some amazing small-batch Belgian craft beers that we have no knowlege of here in the US. You’ll end up with some amazing beers, but the best part will be the people you meet and the adventures you’ll have. After one memorable trade the owner of the bottle shop took us all around Brugge one evening, introducing us to his friends & family, and his favorite beer hangouts. None of this would have happened if I didn’t throw a few bottles of beer into my suitcase before leaving for the airport. We became fast friends and still keep in touch to this day. Ready for some beercation inspiration? Here are ten of the best places for stops and stories from fellow travelers, shop owners. Should you find yourself in Brugge on a rainy Belgian night, pull up a seat at the bar for a nightcap or two, and break out a Weyerbacher Tiny or Blasphemy as our good friend and beer aficionado, Lee Rogers, did some years ago. After inspecting the offer, the proprietor of De Kelk fetched two cork & cage bottles from the cellar: a Haspengouwse Grand Cru Winterkoninkske by Brouwerij Kerkom Bink and a Prearis Grand Cru Barrel Aged. But that wasn’t even the beginning. As the night and conversation went on, the barman again disappeared to the cellar and came back with a bottle of Westvleteren 12. It wasn’t just any old bottle. “This is three-year-old Westy,” he said pouring into Westvleteren glasses. After tasting three-year-old Westy, Lee will never drink young Westy again. Not bad for his first trade in Belgium. A note about DeKelk; The last time I was in Brugge De Kelk had closed due to the death of the owner. But I hear rumors that one of his bartenders was able to open the little treasure of a shop back up again. After sampling the fine Westy 12, it’s time to hit a couple of bottle shops around Brugge for some rare beers to bring home. 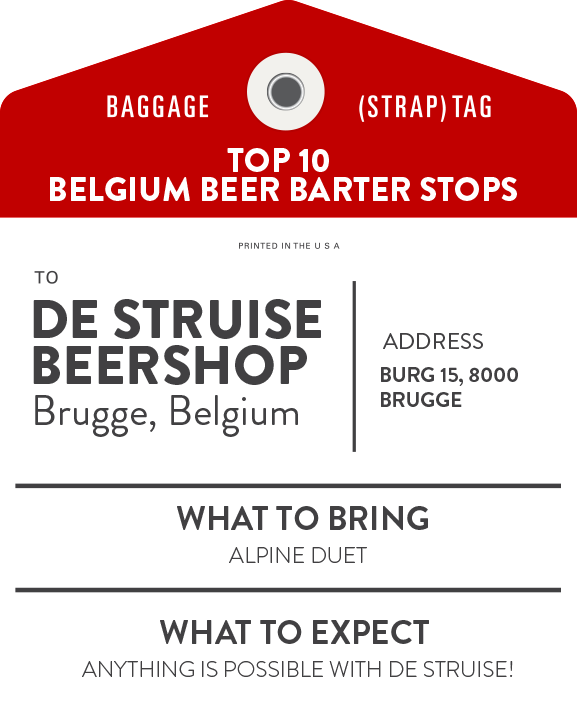 First, stop at De Struise Bottle Shop with an Alpine Duet from Alpine Beer Company in California for brewery co-founder and owner, Carlo Grootaert. 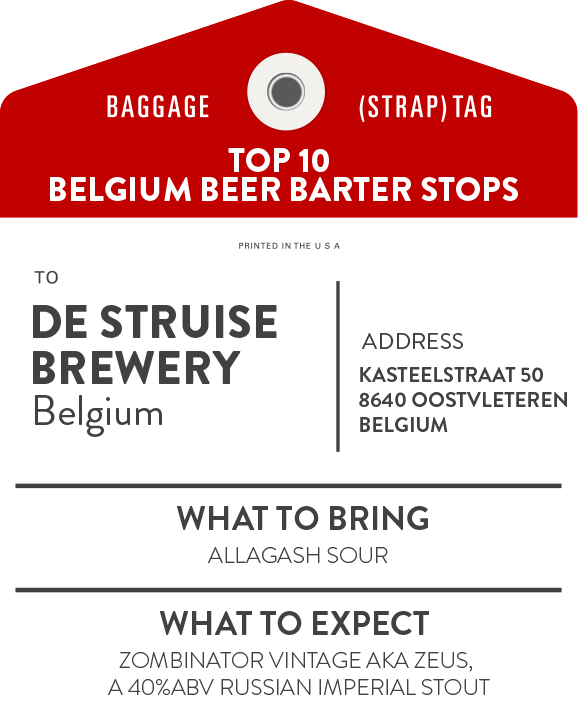 Since De Struise started brewing in 2003 they have been named best brewery in the world more than any other brewer and their beer consistently tops the charts of any great beer list. This modern little shop sits right on the Burg Square two doors down from a 12th century Roman Basilica. Inside you’ll find a comprehensive selection of all their brews and a small tasting bar with three selections on tap. Just heavenly. The last stop in Brugge, De Bierboom, holds a special place in my heart. Rudy Vossen and his wife own and run the establishment and live upstairs. It’s a modest place with a world class selection of beer in the living room sized front of the shop, offering a small bar and some tables in the rear. Rudy is also a brewer, making some excellent small batch stuff. One of the tables hosts a nano-brewery homebrew kit where Rudy experiments and perfects his recipes. I was nosing around their shop one afternoon late last November and came across a crate of mason jars with a brown liquid in them, looking much like a stash of homemade whiskey. Turns out it was a very high abv beer spiced with orange peel, cloves and spices and served warm, much like a traditional German style hot mulled wine. Rudy kindly opened and heated a couple glasses for my friends and I… What a treat! Rudy Vossen likes dark, strong, vanilla and chocolate beers that are not easy to find in Belgium, like 3 Floyds Brewing Company’s Brandy Barrel Aged Dark Lord with Vanilla Beans. It’s beer like this that will get you bottles you won’t find anywhere else, and maybe even a taste of whatever Rudy is brewing himself. 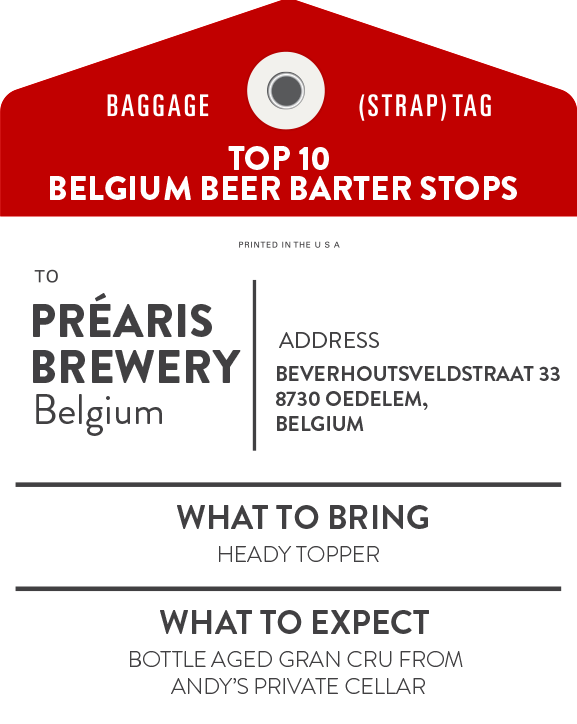 Heading southeast out of Brugge, be sure to stop by Prearis Brewery, the brewer of the Grand Cru mentioned in our De Kelk writeup. Préaris has only been brewing comercially since 2011, but they have won numerous awards including the best brewer in Belgium by ratebeer.com in 2013. Owner, Andy Préaris Dewilbe, will be sure to break out one of his brewery’s older Grand Cru in exchange for a bottle or two of Heady Topper, an American Double IPA from The Alchemist Brewery in Waterbury, Vermont. Leaving Préaris and heading back west a little south of Bruges towards Brussels, you’ll encounter Rodenbach Brewery. Kurt Epps from the Pubscout suggests bringing a collection of Wicked Weeds Sours in order to secure a glass of their Grand Cru, an award-winning Flanders Red Ale, or perhaps a foederbier served straight from the cask. We had a nice behind the scenes tour from some very interested brewers after producing a couple bottles of American sour reds. From Rodenbach it’s about a 40 minute drive into the heart of West Flanders and the brewery/classroom at De Struise. Head brewer (and owner) Urbain Coutteau will happily accept a juicy IPA or an Allagash Sour. Actually, make that two Allagash Sours for Urbain, and you just might get to sample a bottle of Double Black, their 26.0% ABV Black Albert or maybe even a newer version of their Black Damnation series that’s yet to be released. These guys love talking about beer and their passion is contagious. They started as a homebrew club and hit the bigtime with their Pannepot Old Fisherman’s Ale. Now they are regarded as one of the world’s top breweries and some of the most genuine people you will ever meet. From Flanders we head west to the other side of Ghent. The next stop, Bosteel Brewery, is a small family owned brewery founded in 1791. They brew three beers here: Tripel Karmeliet, DeuS, and Pauwel Kwak. To get your hands on the Kwak, Their Amber Ale, Epps suggest bringing a similar American Amber Ale in trade: Troeg’s Nugget Nectar. Should you want to sample their Tripel Karmeliet, have a bottle of Weyerbacher Merry Monks handy. On my last visit we got a real treat. Ivo Bosteels, a gentleman in his eighties and the father of the current owner of the brewery, happened to stop in the tasting room at the end of our tour. Dressed in a suit, he wasted no time rolling up his sleeves, pouring beers for our group and washing glasses by hand behind the bar. This man’s work ethic is remarkable. What now houses the brewery’s offices was the family home for seven generations, complete with family portraits dating from the 1700’s hanging over the mantel. Ivo graciously offered us a tour, recounting tales from his childhood growing up in the house and hiding in the cellar during the German bombing raids in WWII. It was an experience I will not soon forget. From Bosteels we head a half hour south to the outskirts of Brussels. 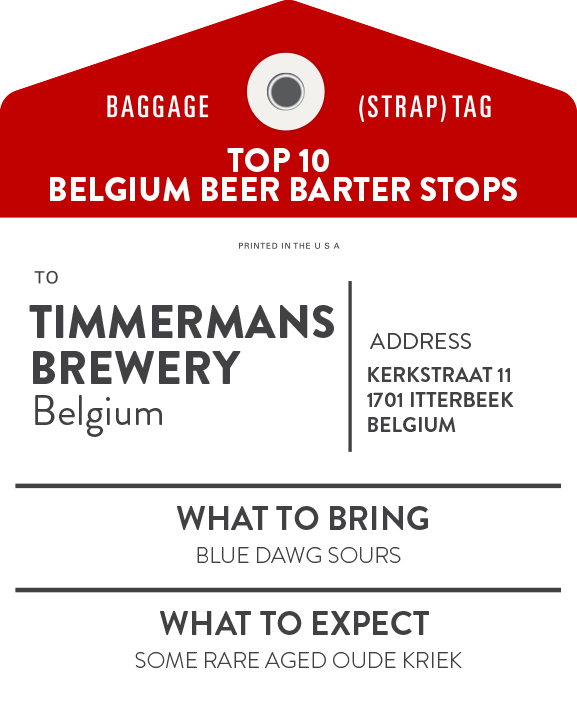 Founded in the 1700’s in the village of Itterbeek is Timmermans Brewery, a lambic brewery that still ferments its beer traditionally in vats open to the night sky. Known for their prized sour beers, Oude Gueze and Oude Kriek, bring your A game if you expect a brewery tour and a few samples. Timmerman’s is a treat. It’s a very traditional lambic brewery that doesn’t use syrups or artificial flavorings, brewing with equipment that is hundreds of years old. A few Wild Blues, Wild Reds and Wild Blacks from Blue Dawg Brewing in New York should at least keep the barman occupied as you make your escape with some lovely lambics. A short ride from Timmermans’ brings us to our next stop. As one of the last remaining geuzestekerij, where geuze is produced by blending old and new lambics, 3 Fonteinen has managed to stay afloat through a number of crises by keeping with their blending traditions. It’s a good thing, too, because no trip to Brussels is complete without drinking a bottle of Oude Geuze while sitting outside their cafe. Another traditional lambic brewer, albeit with new equipment and a brewhouse in an old garage. Don’t forget about their Beersel Blond, a strong pale ale that’s a perfect trade for a bottle of Victory Summer Love, an American Pale Ale that would fit perfectly on their trophy shelf. 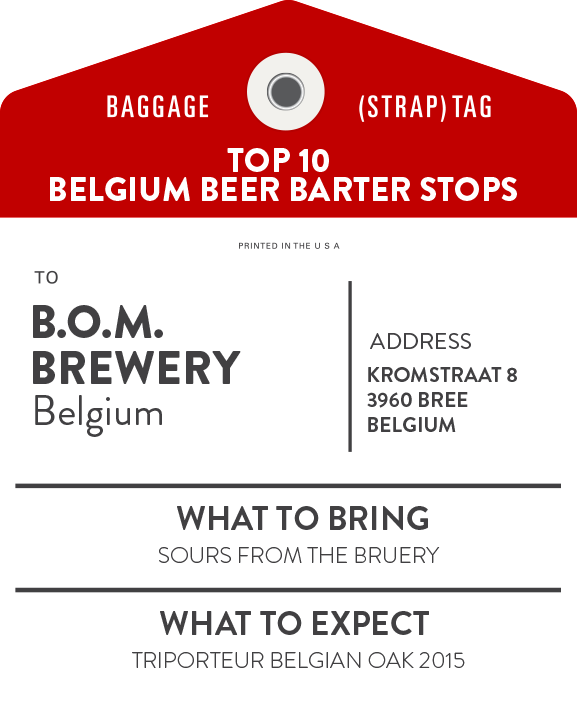 The last stop on our whirlwind beer bartering tour of Belgium is B.O.M. Brewery, where head brewer Bert Van Hecke has a special request. Although he wouldn’t turn down a few fine bottles from The Bruery or Sierra Nevada, Bert just might hand over the keys to the shop for a New Belgium La Folie from 2003. B.O.M. is one of the few breweries in the world to roast their own malt, a lost art performed now by large commercial malters. Located in eastern Belgium where German is as common as French, it’s worth seeking out for their strong dark Belgian ales aged in oak. And Bert will be happy to see you. A trip to Belgium to sample some of the world's finest beers, fresh from the source.